For decades, mobile offices had predominately been used at construction sites and disaster scenes. Today, mobile offices are found in a wide range of industries—and they are far more advanced than every before. With a customizable mobile office, you can add options and features that your business needs, such as storage and high-tech communications to ensure you staff has everything they necessary to operate on-site at any location. Before you spend too much time look at generic office trailers, let’s take a look a few of the benefit you’ll receive from a custom-built mobile office trailer. High-Quality Products: If you truly want a customized mobile office, it’s best to work with a trailer distributor or full-service dealership that carries industry-leading brands to guarantee that you’re getting the highest quality products in the industry. 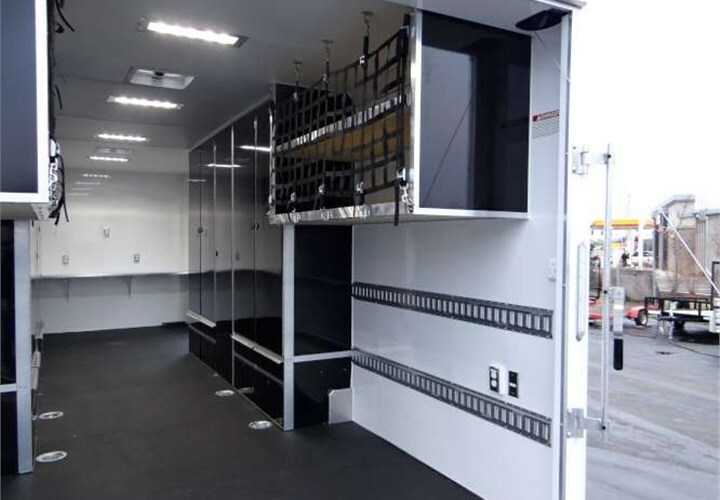 Customizable Inside and Out: From functional requirements to aesthetics, mobile offices can be fully customized inside and outside to meet the requirements of your team. Extremely Durable: Custom mobile office trailers are not necessarily designed to be used at one jobsite for an extended period of time. Rather, their durable construction makes them easy to transport from one location to another as frequently as necessary. Cost-Effective: The versatility of a high-quality mobile office makes them a cost-effective option for a variety of industries—from animal rescue organizations to police departments and real estate offices. Exceptionally Productive: Your managers, staff, and entire business can be more productive when you work with a designer to create a custom mobile office. Whether you need workstations, conference rooms and a fully finished interior for a professional office look, storage racks for tools, or even living quarters, you can completely customize a mobile office trailer to meet your exact specifications. At Advantage Trailers, we’ve been building custom trailers since 1989, and our team is ready to help you find the ideal solution for an efficient, effective mobile office. Contact us today to learn more about our custom mobile office trailers, or use our quick online form now to schedule an ideal time to discuss your project.